This study examines how nonviolent protests emerged as a strategic choice for civil resistance against authoritarian rule in Venezuela. This study explores the repertoire of nonviolent methods used in Venezuela during 2017, which included conventional tactics such as mass concentrations, street blockages, and strikes, as well as digital protests and creative demonstrations, plus the historical popular consultation against the spurious Constituent Assembly. 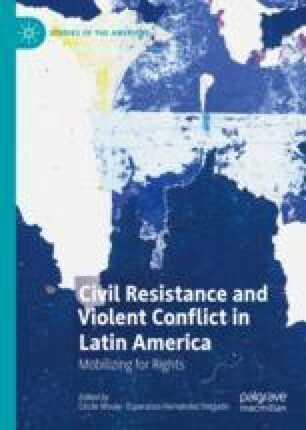 Using testimonies from the civil resistance movement participants, the study underscores three dynamics often overlooked: the process of building a collective identity by leaderless crowds, the use of digital communication, and the role of pro-government militias in repressing peaceful demonstrations. The 2017 Venezuelan protest cycle did not achieve its aim of overthrowing the authoritarian regime and restoring the rule of law. Major factors for the movement defeat were the harsh repression combining military and paramilitary repression and the lack of alignment between strategic vision and innovative protest tactics. Puyosa, I. 2018. Chavism Information War Strategies on Twitter. Observatory of Disinformation and Propaganda in Latin America. http://obserlatinf.org/.